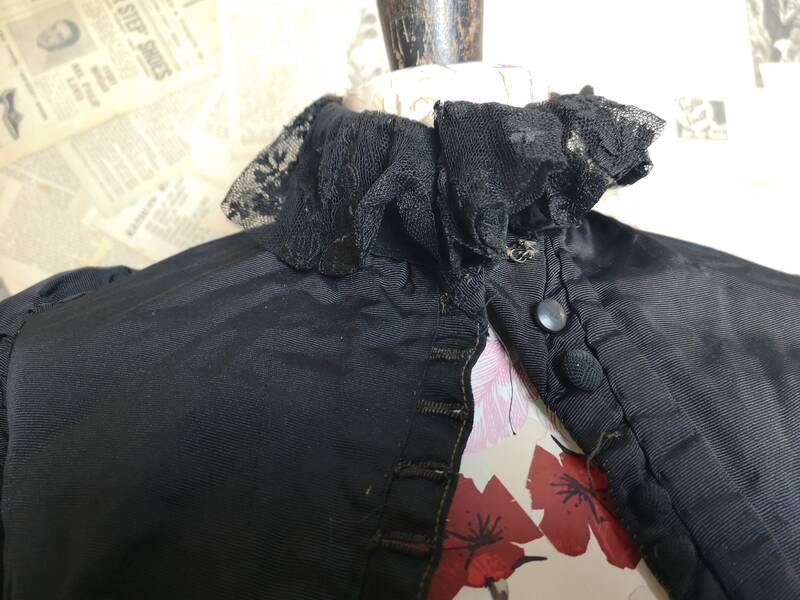 A very pretty mid Victorian black silk mourning blouse, it has a small high neck collar trimmed with a black lace ruffle. 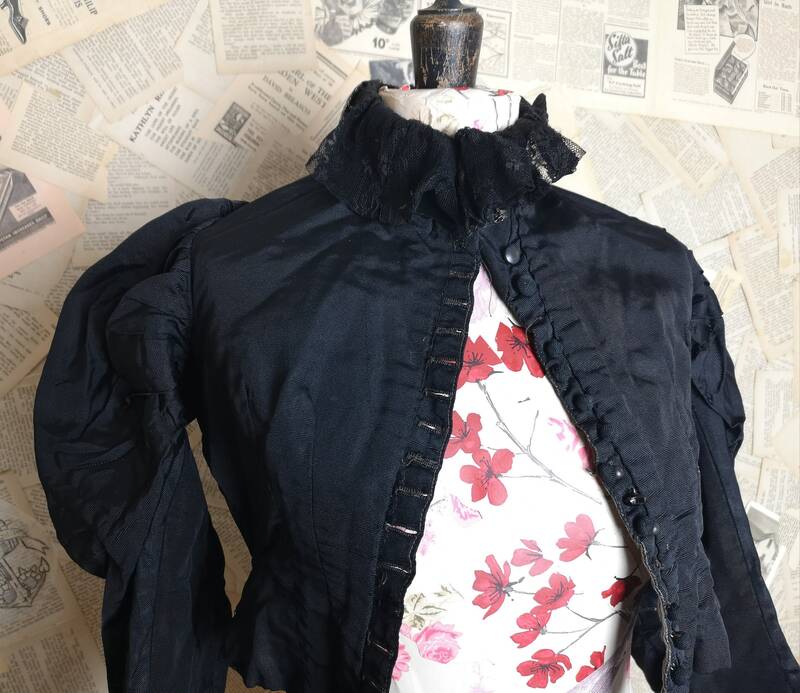 The waistline is high and the blouse is very fitted at the waist, it has a button down front with fabric covered buttons, some have been later replaced and some are missing the fabric covering. 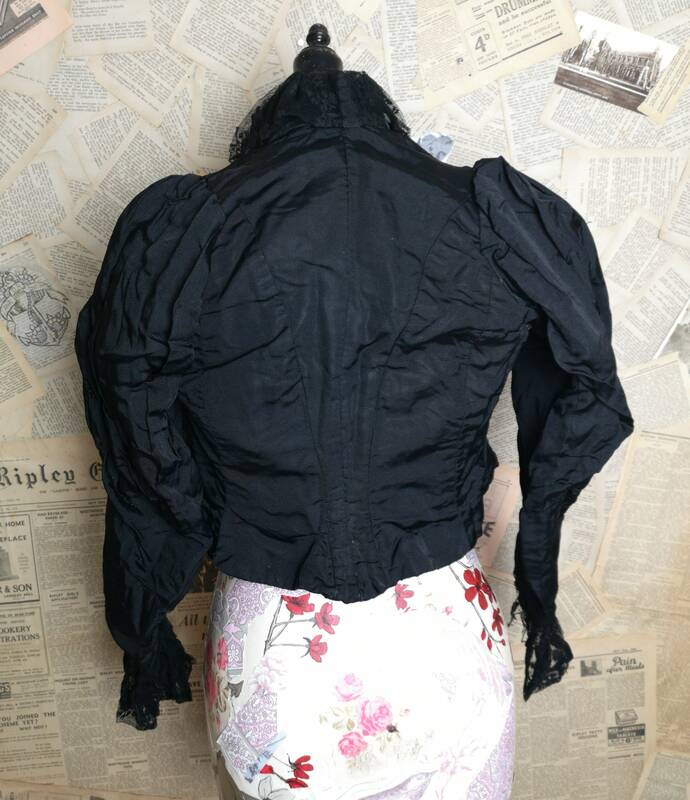 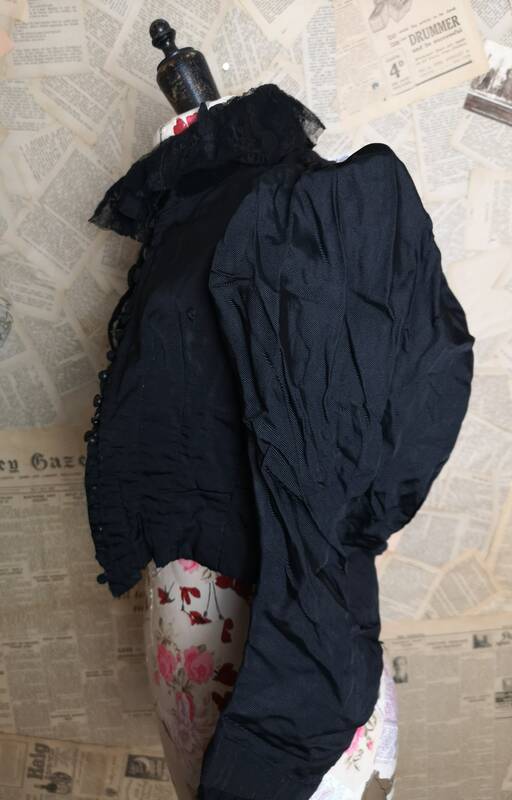 The shoulders are sloping and go down into gigot sleeves, very wide at the top with tight cuffs that are trimmed in long black lace. 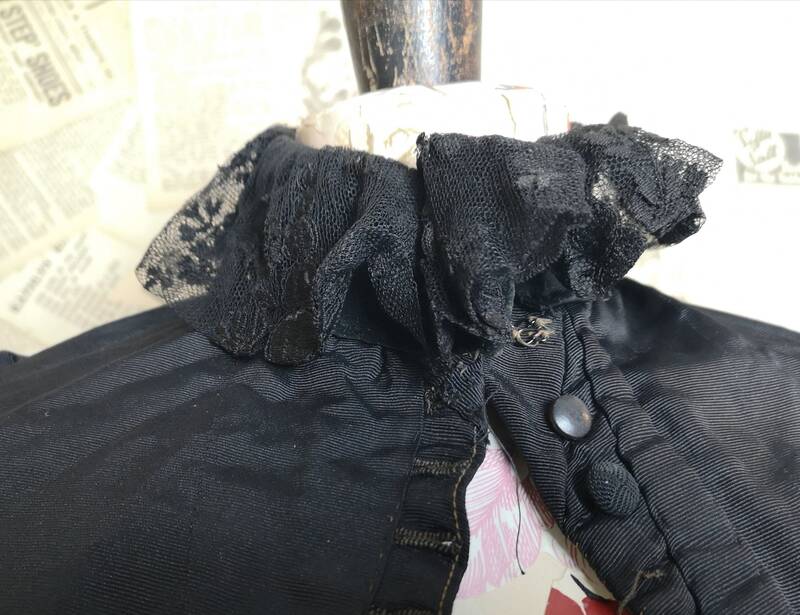 The condition for its age is good, it has been well kept, some of the delicate lace trim on the collar is coming away a little, some small pin holes commensurate with age, the cuffs need some attention. 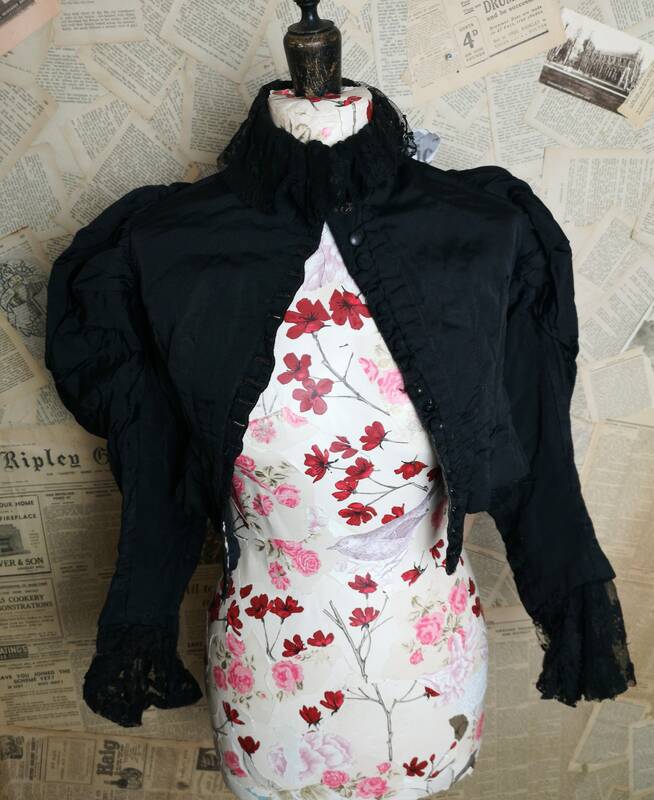 Measurements are approximate, the garment was made to measure, English make c1890's, a nice find and more than wearable. 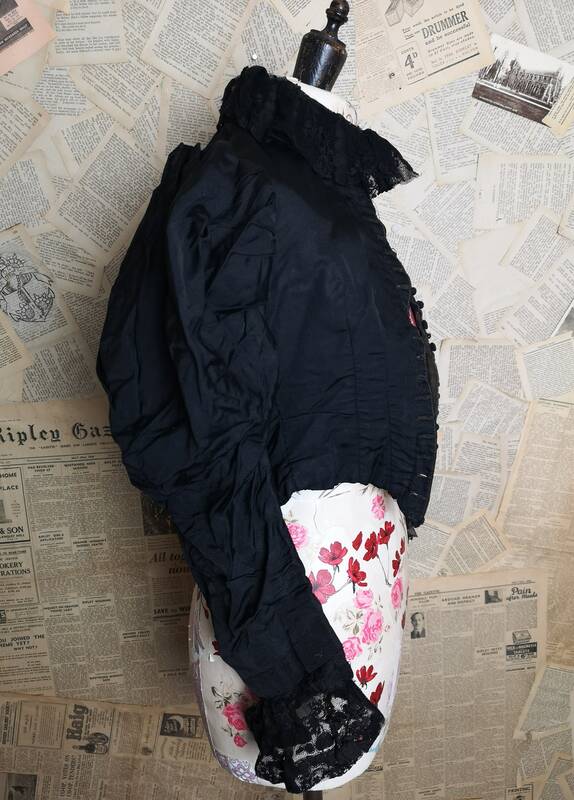 Unfortunately the garment is too small to be fastened on any of our mannequins so is shown open but it does close. 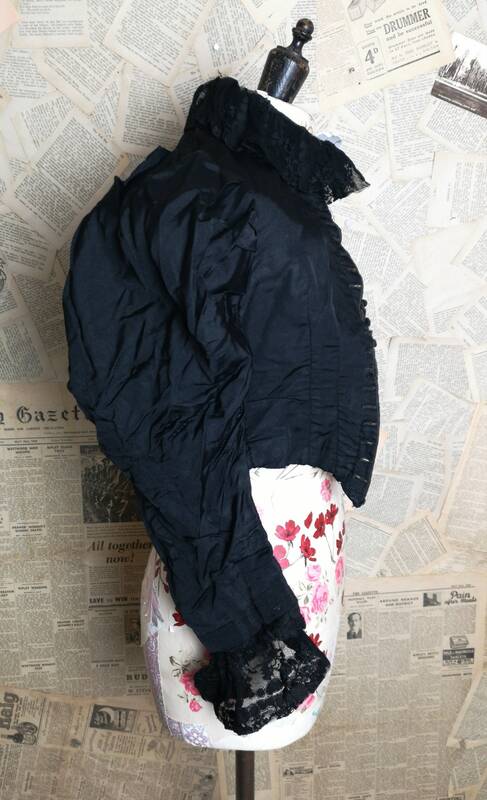 This garment has not been cleaned so may require cleaning prior to use, please note it can only be specially cleaned.